Grinding your teeth, formally known as bruxism, is a common sleep condition that affects people of all ages. It can damage your teeth over time and lead to other dental complications. You can’t consciously control your teeth-grinding, as you unconsciously do it when you aren’t thinking about it and may not notice yourself doing it even when you’re awake. Here’s how you can check whether you’re grinding your teeth. 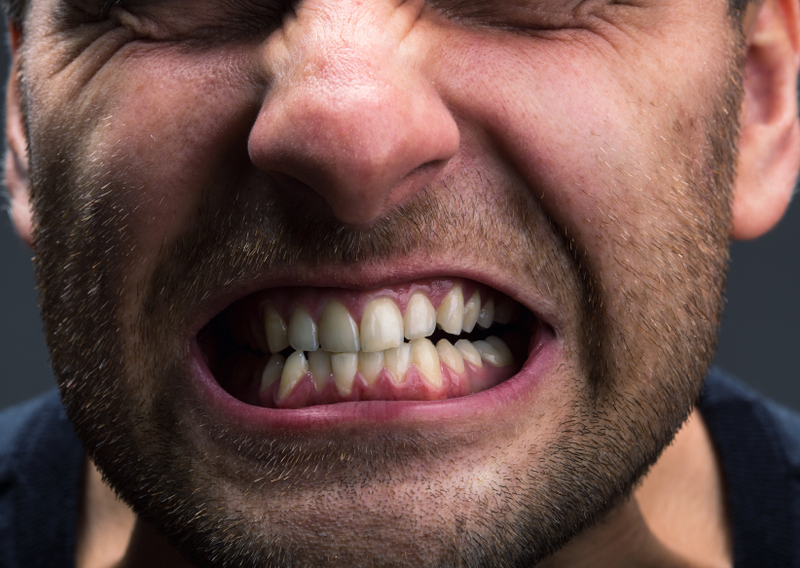 You may be able to catch bruxism by monitoring your symptoms in the morning. If you wake up with a dull, steady headache, sore jaw, sensitive teeth, inflamed gums, or bite marks and injuries on the insides of your cheeks, you could be grinding your teeth. You may notice yourself making audible teeth-grinding noises as you drift off to sleep. Ask someone else to check in on you. Asking your spouse, a family member, or a friend or loved one to check in on you while you’re sleeping is a great way to figure out if you’re grinding your teeth. If they go to bed after you, check in on you during the night, or wake up earlier, they should be able to easily notice whether you’re grinding your teeth. You could also do the same thing by using an audio recorder to check for yourself. Talk to your dentist on your next visit. When you have your next dental visit for a cleaning, checkup, or treatment, make sure you mention your suspicions to your dentist. They can look for grinding marks on the teeth, jaw tenderness, inflamed gums, mouth wounds, and other symptoms of bruxism to confirm that you have bruxism, and they can also offer you treatments to try at home or professional treatments. Grinding your teeth can lead to not just weaker teeth in the long run, but frustrating symptoms such as headaches and an aching jaw in the mornings. If you think you’re grinding your teeth in your sleep, try at least one of these methods to see if you might be doing it. A dentist can help you determine the best treatments once the diagnosis has been confirmed.